I used to make cakes all the time. Then I learnt how to make yeasted dessert breads – think cream-filled savarin, streusel-topped loaves and flaky Danish pastries! – and cakes were no longer appealing. And so whenever one is necessary, as for this month’s cooking column, I choose the easiest one to make. That would be a cake where all the ingredients are beaten together in a bowl, baked and iced with the simplest frosting possible. My preferred flavour is coconut and this one has loads of it, thanks to the milk, flesh and essence in the cake, and more of it (tinted pink) in the garnish. If this cake is for those who can take alcohol, I would include some coconut liqueur. I chose a ganache frosting because it’s fool-proof. Buttercreams are too sweet and I am hopeless at whipping cream – I never get it right, often ending up with a floppy mess, or I overbeat and it turns to butter (fortunately, that’s not a complete failure). I also don’t need to fiddle with piping bags and spatulas. With chocolate ganache, I just pour it on and let it “drape” itself over the cake. Once set, it stays that way. 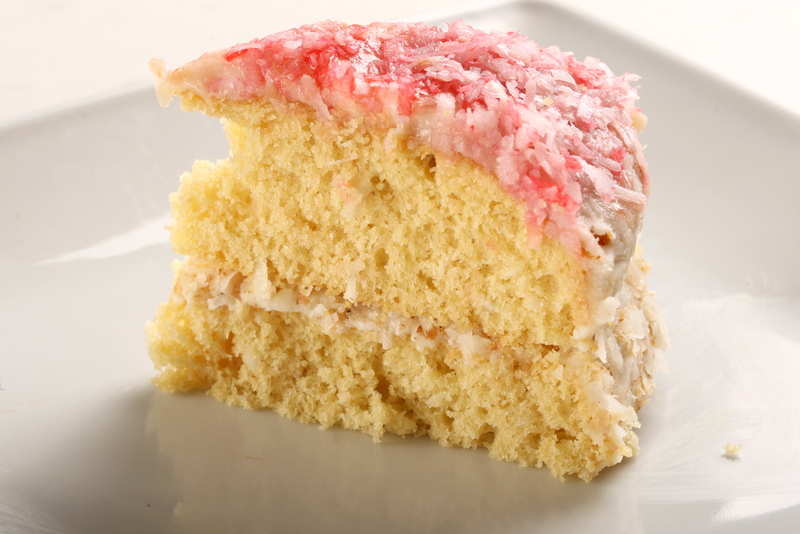 This coconut cake recipe is part of the Don’t Call Me Chef column in Star2. Grease and base-line two 20cm round cake tins. Sift the flour, salt and baking powder together twice. Combine with the sugar in a mixing bowl. Add the oil, eggs, coconut milk and extracts to the dry mix. Beat on low until combined, 30 seconds, and then beat on medium for 2 minutes. Pour into prepared pans and bake until a toothpick comes out clean for about 25-30 minutes. Cool for 10 minutes in the pan, then turn out onto a wire rack. Cool completely before frosting. If you don't plan to serve it immediately, wrap each cake in two layers of plastic wrap. Place the chopped chocolate in a heat-proof bowl. Place the cream in a saucepan and heat until tiny bubbles appear at the edge (do not allow it to boil). Pour over the chocolate and leave for two minutes, then stir until smooth. This can also be done in the microwave or in a double boiler. Leave the ganache until slightly thickened for about 10 minutes, then use a quarter of it to sandwich the cakes together. Pour the remainder over the cake and let it drip over the edge. Pat coconut on the sides and top. If the chocolate hardens before you get the coconut on, brush on some jam so the coconut will stick.